In a challenging economic climate, delivering value from security technologies like Security Information and Event Management (SIEM) is higher up the agenda than ever before. This presentation discusses some strategies for success, with a few examples of the types of use cases which we’ve found most valuable to our clients. 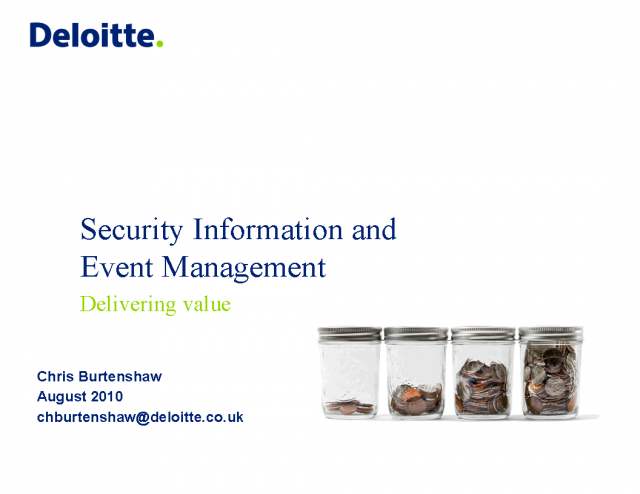 Chris is a Manager in Deloitte’s Information and Technology Risk Security team. Having spent the last five years working on logging, monitoring and SIEM projects, he has had a wide range of experience of SIEM and logging implementation from strategy down to nuts-and-bolts configuration.